We’re offering a bunch of great holiday deals December 13th through the 24th! Each day on our Facebook page, starting Thursday the 13th, we’ll be announcing all kinds of great bargains on items in our stores and online! 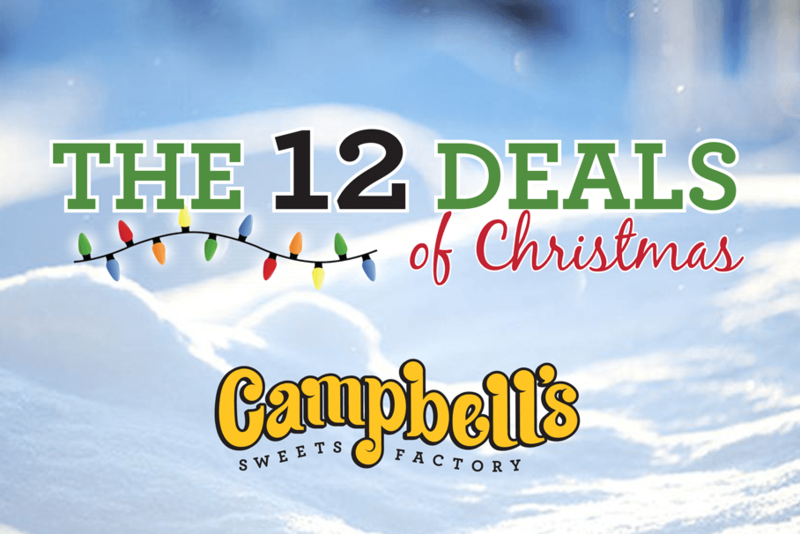 Look for deals on our festive Christmas Snowmen made entirely out of popcorn (available in our stores), our giftable 4-Pack boxes, our limited-edition Christmas Gift baskets, cupcake truffles, fresh-baked cupcakes & more! 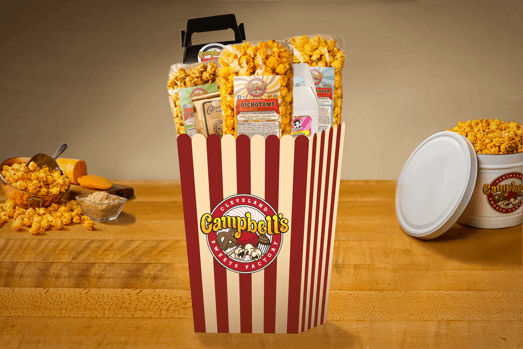 More reason to follow our social media this season at Campbell’s!